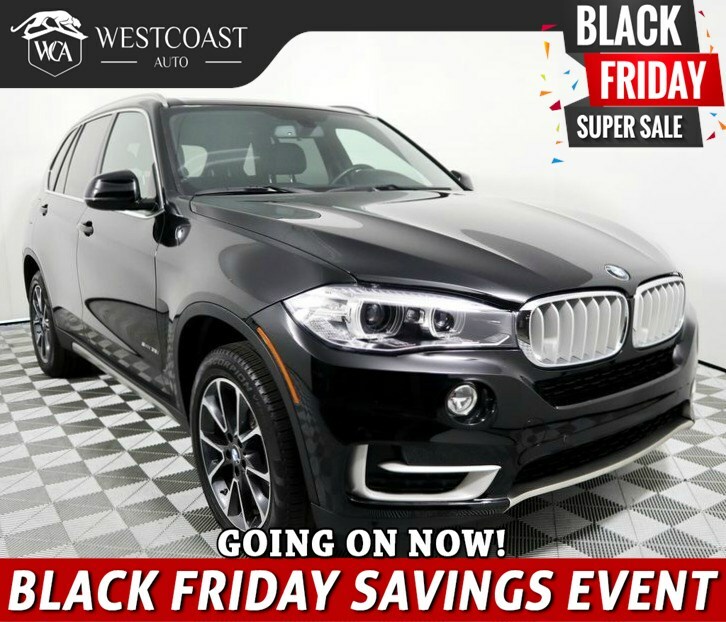 Our One Owner, Clean CarFax 2017 BMW X5 sDrive35i in Black Sapphire Metallic will have you driving like a boss with performance and prestige! The 3.0 Liter TwinPower Turbo 6 Cylinder puts 300hp at your command and is paired with an 8 Speed Steptronic Automatic gearbox with Sport and Manual shift modes and Adaptive Transmission Control. Soar to 60mph in 6 seconds and score near 27mpg on the open road in this beautiful Sport Activity Vehicle! Our sDrive35i shows its finesse with its confident stance that features LED fog lights, xenon adaptive headlights, power tail gate, and a roof spoiler. You'll feel right at home in the handsome interior with power adjustable heated seats, Advanced Vehicle Key, ambient lighting, and dual-zone automatic climate control. Check out our prominent central screen with iDrive interface, voice-commanded navigation, Bluetooth, BMW Assist, and an extraordinary HiFi sound system. BMW has a sterling reputation for quality and reliability that holds strong with our X5. Stability control, parking sensors, brake drying/standby features and a rollover sensor add to your peace of mind. Pushing the limits with brilliant design and seemingly infinite capacity, our X5 is an outstanding choice! Print this page and call us Now... We Know You Will Enjoy Your Test Drive Towards Ownership! Great quality, easy financing and affordable prices aren't the only things that make Westcoast Auto Sales the first choice of many discerning auto buyers. Stop in and See California's Dealer of the Year!